I left out all the sequels to books I still needed to read an earlier part from. I had a hard time picking the ten that I had wanted to read the most, but I think I nailed it. This entry was posted in Top Ten Tuesdays and tagged Adventure, Alwyn Hamilton, C.J. 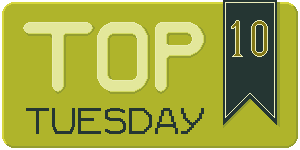 Redwine, Drama, Evelyn Skye, Fantasy, Jennifer L. Armentrout, Kendare Blake, Marissa Meyer, Romance, Roshani Chokshi, Susan Dennard, Top Ten Tuesdays, V.E. Schwab. Bookmark the permalink.